After their arrival on Saturday, campers have been busy getting into the rhythm of camp life here at Beau Soleil summer camp. Campers have been enjoying their language lessons and making progress in their French or English study and each age group has made the most of the beautiful weather we have enjoyed this week. The adventure started at the front door for Junior campers as they arrived at their boarding house which has been transformed into the island of Hawaii or Madagascar. A welcoming wreath of flowers from their monitor got the week off to a happy start. Juniors learnt a special chant on their first day which wowed other campers at Sunday night’s opening ceremony. 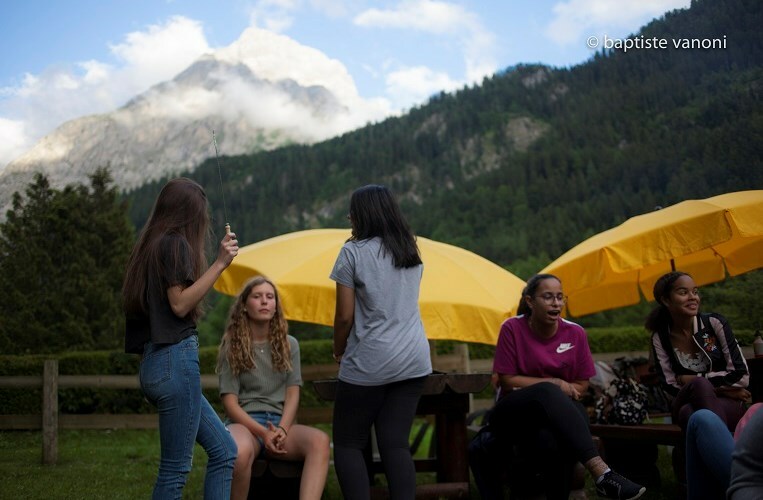 An overnight excursion to a mountain cabin was a first experience for many of our juniors and it was fantastic to see them out hiking and enjoying the beautiful Swiss alps. Juniors have excelled at Taekwondo, breakdancing and football in the tournament which included guests from La Garenne summer camp. It has been a fantastic start to camp and juniors can’t wait for the fun of week 2! Football, Arts & Crafts inflatable fun, games ice skating, board games and a language exam: and that was just some of the activities we enjoyed over the welcome weekend! Teen campers have loved sailing and paddle boarding, Taekwondo, face- Painting and breakdancing. On Wednesday all teens went to Lausanne where we visited the Olympic museum, walked through the beautiful streets of the city and went shopping before enjoying dinner in a restaurant. Thursday night the first groups went on an overnight excursion staying in a group of yourtes above Montreux. Evening activity highlights have included a USA Night for the 4th of July, a Flashmob, a football tournament, a 5 senses themed evening and a Medieval night. After a hard first day under the rain to visit the town and get to know each other, the sun came back to us on Monday for a great beginning of the week. All of the Seniors groups went away to Les Martinets, in a small village with a wonderful landscape for a team building day. Various activities were prepared and they have had the chance to meet each other, think, play and work together as teams. The day ended with a delicious Barbeque. A daily routine was installed from Tuesday : classes in the morning, activities in the afternoon. 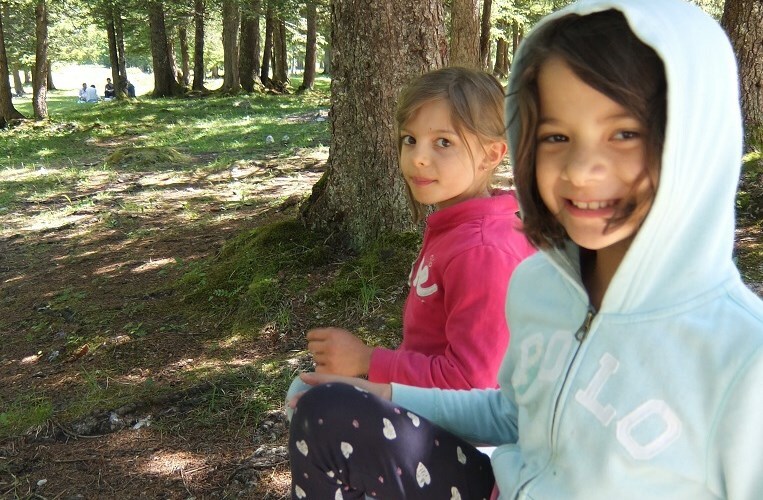 The boys groups have had the chance to go rafting and to Parc Aventure while the girls were challenged to go camping and hiking in Champéry. Preparing their materials, setting up camp and cooking for themselves was a great experience for the girls that reinforced their team spirit. It was really rewarding to listen to them reflect on the experience as they toasted marshmallows around the fire. We have all enjoyed the Beau Soleil terrace with its amazing views and particularly appreciated the Thursday pool party organized for all the Seniors.